I love a good cookbook. I prefer the ones that include a picture for each recipe. Seeing perfectly styled food makes me want to prepare it. When "Simply Sweet COLORCAKES" came across my desk, I immediately knew that I would love it. It's filled with dessert recipes for every season and every occasion. And they are fun and colorful and a treat for kids and adults alike. There are all sorts of recipes in this book ranging from simple to a bit more tedious and time consuming. It doesn't matter which one you choose to make, you'll be sure to knock your guests socks off. 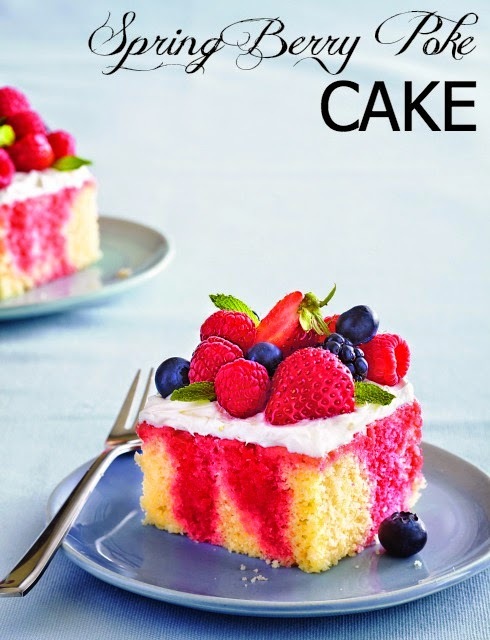 Colorcakes includes full page photos for each recipe and includes tips for altering some of the recipes for other occasions or celebrations. Here are 3 of my favorite recipes from the book. This cake is perfect for a spring or summer gathering or afternoon tea. 1. Preheat oven to 350 degrees F. Grease bottom and sides of a 13x9 inch pan with shortening, lightly flour. 2. In a medium bowl, mix flour, baking powder, and salt. In large bowl, beat butter, sugar, and vanilla at high speed with an electric mixer for 3 minutes or until fluffy. Add eggs, 1 at a time, beating well after each addition. Add flour mixture alternately with milk, beating until blended after each addition and scraping the bowl occasionally. Pour batter into prepared pan. 3. Bake at 350 degrees F. for 40 minutes or until a wooden pick inserted into center comes out clean. Cool 20 minutes. 4. Meanwhile, in a small bowl, stir together gelatin and boiling water 2 minutes to completely dissolve gelatin. Poke warm cake every inch with tines of meat fork or table knife. Pour strawberry gelatin mixture slowly over the entire cake, allowing the mixture to fill holes in cake. Cool completely in pan on wire rack (about 1 hour). 5. In a small bowl, mix frosting and lemon zest. Front cake. Garnish with fresh berries and mint, if desired. 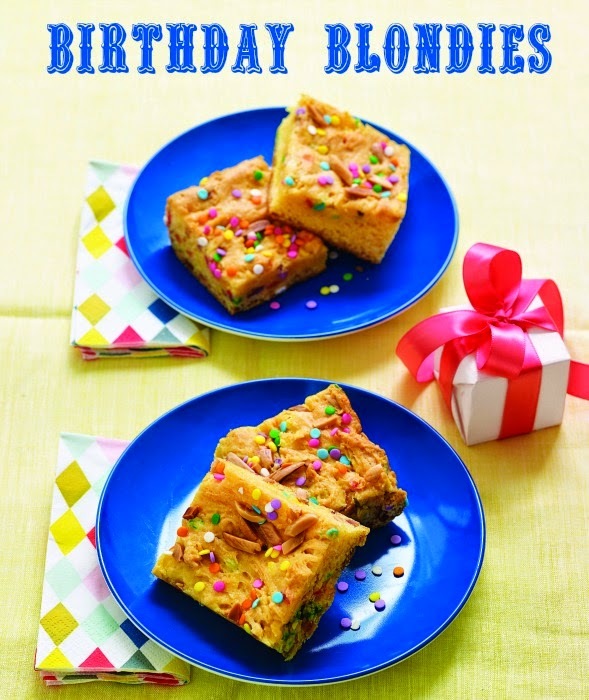 This recipe is a nice departure from the typical party treat of cake or cupcakes. 1. Preheat oven to 350 degrees F. Lightly grease a 9-inch square pan. 2. Stir together first 5 ingredients in a large bowl (batter will be thick). Stir in almonds and 1/4 cup sprinkles or confetti candies. Spread batter into pan. Sprinkle with remaining 2 tbsp. candies. 3. Bake at 350 degrees F. for 23 to 25 minutes or until set and lightly browned. Cool completely on a wire rack (about 1 hour). Cut into 16 squares. Instead of baking up a batch of Christmas cookies, make these cupcakes instead. 1. Preheat oven to 350 degrees F. Place paper baking cups in 2 (12 cup) muffin pans. 2. Prepare cake mix according to package directions for cupcakes. Add peppermint extact to batter. Divide batter in half. To one portion, add food coloring; stir until well combined and uniform in color. In each muffin cup, place 2 tbsp. red batter; top red batter with 2 tbsp. white batter. Swirl white batter through red batter with a knife to create a marbled design. 3. Bake at 350 degrees F. for 18 to 20 minutes or until wooden pick inserted in center comes our clean. Cool in pans on wire racks for 10 minutes; remove from pans to wire racks. Cool completely (about 30 minutes). 4. Frost cupcakes with frosting. 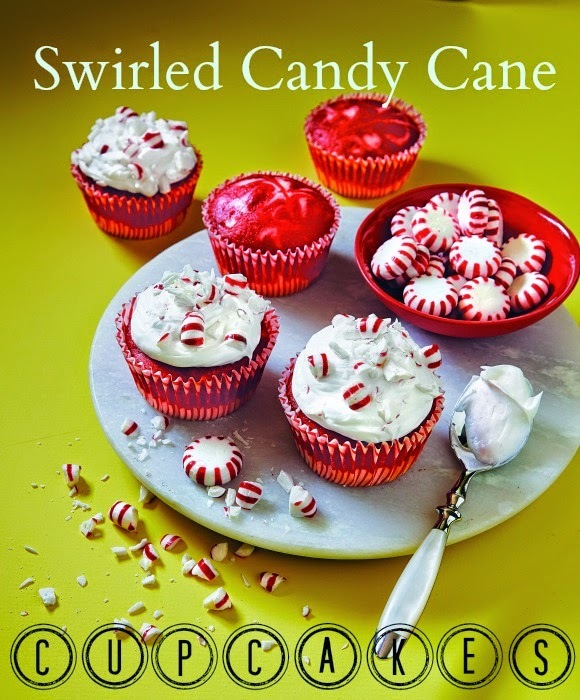 Top each with crushed peppermint candies. 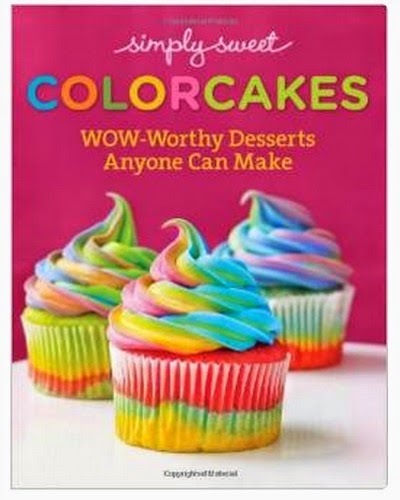 One lucky Pieces of a Mom reader will win a copy of "Simply Sweet COLORCAKES". You'll have "wow-worthy" dessert recipes at your fingertips for your next celebration. * Winner must be 18 years of age or older. * Winner must reside in continental U.S.
* Once selected via Rafflecopter, the winner will be notified via email and will have 48 hours to respond to confirm. Can't wait to win it? Order it now!